Ladies Probus held their Annual General Meeting in Dungannon Rugby Club recently. 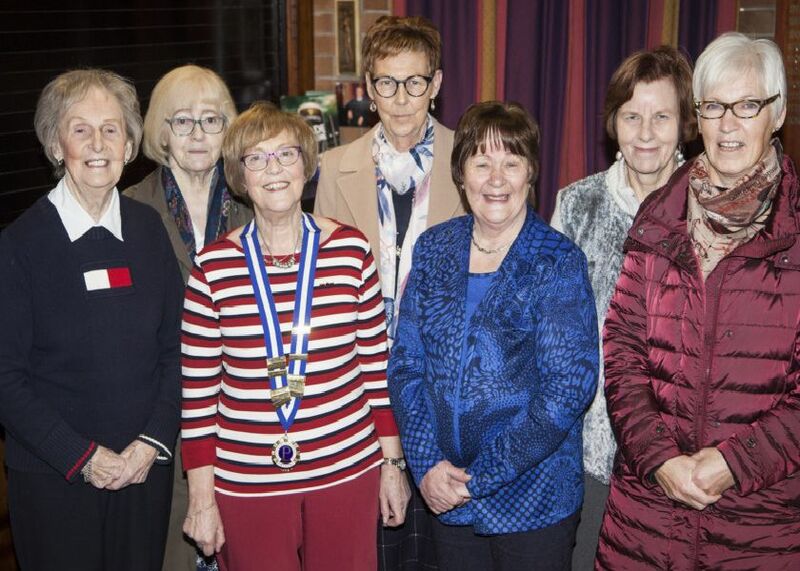 Barbara Cuddy, Dungannon Rotary Club President was the special guest who was called to oversee the inauguration of the new President and the appointment of the office bearers. Past President June congratulates Rae Gallagher the incoming President. The Rotary Club President Barbara Cuddy is pictured with Probus President Rae. President Rae carries out her first duty, welcoming Margaret Devlin to the Club and presenting her with her membership pin.